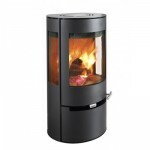 Aduro develops and produces wood burning stoves in modern Danish design. For many years they have been specialising in developing high technological stoves with the most modern and advanced combustion principles. Without comprise when it comes to product quality they always seek to combine the technical and the aesthetic with the end-consumers demand for user friendliness. More than 100.000 Aduro stoves are installed all over Europe. 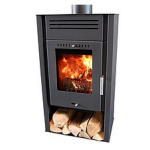 All Aduro stoves are designed by Danish architects whose principal aim has been to create modern and environmentally-friendly stoves to attractive prices. The environmentally considerations are very important for us and therefore all their stoves carry the Nordic Ecolabel. The environmental qualities rank among the best in the world and all their products are extremely easy to use. 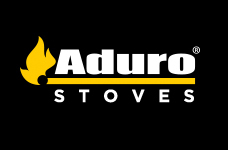 Aduro has established itself as being a deliverer of quality stoves in a simple and stylistically consistent design. Efficiency and cost-consciousness ensures the customer a fantastic quality at a great price. We are delighted to be able to supply and install Aduro stoves to customers throughout Anglesey and North Wales. 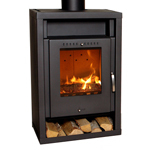 A Nordic Eco-label wood burning stove in a simple design with effective combustion. The stove has a timeless design and therefore fits in with the modern, classic type of home as well as in large holiday homes.